Pz.Kpfw. III Ausf. 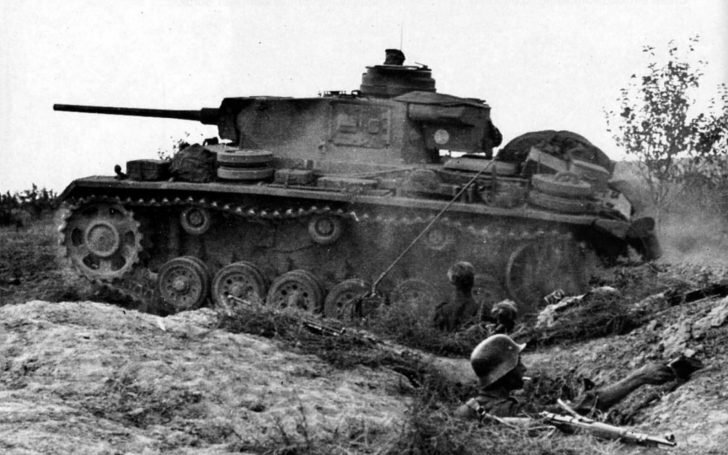 J Medium tank of PanzerWaffe moves through a trench with Wehrmacht infantry. Eastern front.